A business owner has many different things to think about when it comes to their company. Not only does one need to focus on the operational needs, but also the administrative requirements. For this department of the business, it includes being aware of what the responsibilities are for the office property. One of these is making sure that it is adequately maintained. This is important on many different levels. The business that is open to the public, such as many head offices are, make a first impression about their brands. This is undoubtedly one of the many important reasons, why more attention has been put on the design of the corporate office space. But it is not just the interior that requires attention. The exterior is just as important. The exterior of the office space is the first thing that everyone sees, and this is actually the beginning of the first impression. If the grounds are not well manicured, then it says a lot about the company itself, no matter how good the interior is. People driving by, who may not be coming into the office space, will still form an opinion about the brand. If this is a negative one, then it is going to do harm to the business. 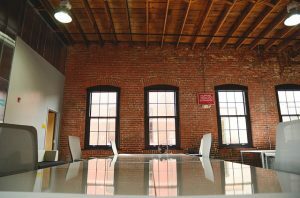 Many businesses remain in the same office space for several years. They have entered into long-term leases. If there are common areas, the responsibility falls on the landlord to maintain these. But, the actual office space leased, is the responsibility of the business owner. The company must make sure that at the very least, that the office premises are clean, and are not showing any signs of undue wear and tear. Even if space has become outdated, by maintaining it properly, it will help to camouflage some of this. It can also be updated with new paint colours and more modern office furniture. If the business owner does not have the time to dedicate to keeping on top of the property maintenance, then this should be assigned to a staff member. Most often, it is the office maintenance staff that will take on this role. But, they must be given the proper resources to work with.